Ray Hanania interviews filmmakers Shady Srour and Ilan Moskovitch on their new film "Holy Air," a satirically serious and funny look at the life of a Christian family trying to survive in the challenges of the Holy Land in Nazareth. Srour is a Palestinian Israeli Christian and Moskovitch is an Israeli Jew who collaborate on a serious and funny look at one Palestinian overwhelmed by life and the Palestine-Israeli conflict to help his parents and wife survive as they prepare to have a baby. Shady Srour is an actor and director, known for Holy Air (2017), Sense of Need (2005) and Ana Arabia (2013). Ilan Moskovitch he is a Filmmaker, Producer, Casting Director,Director,Acting Instructor and Mentor. For 20 years, Ilan Moskovitch has been an integral player and a senior partner in the Israeli film industry, where he has been the Producer, Casting Director and Artistic Consultant. This 30 minute podcast interview was conducted in November 2017. 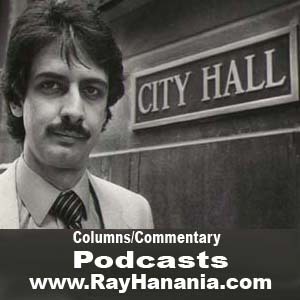 For more information on Ray Hanania and his writings visit his website at www.TheDailyHookah.com.